*Ad- I was invited along in exchange for a review. 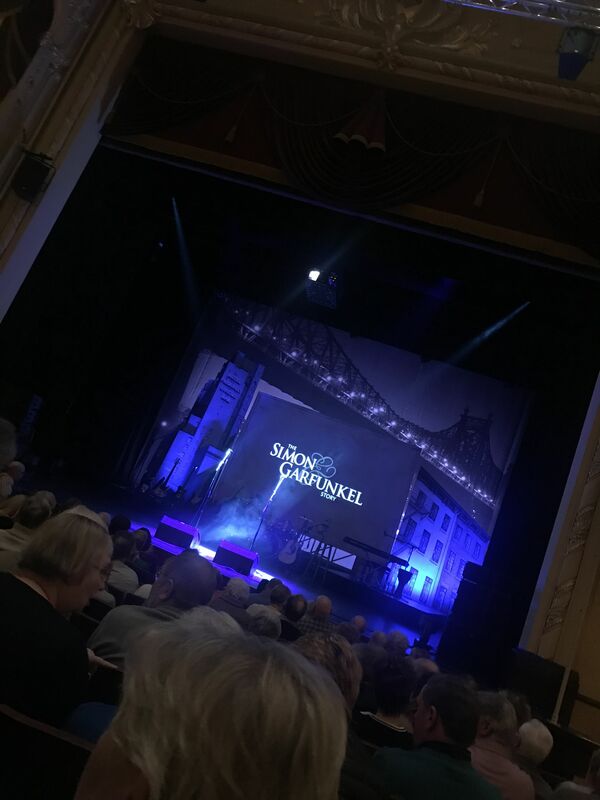 I was invited along last night to watch the world-famous West End hit show ‘The Simon and Garfunkel story’ it has been seen by over 1/2 million people worldwide. It’s really no surprise why, after enjoying an evening of amazing entertainment by such an incredibly talented duo. who went on to become the world’s most successful music duo of all time. 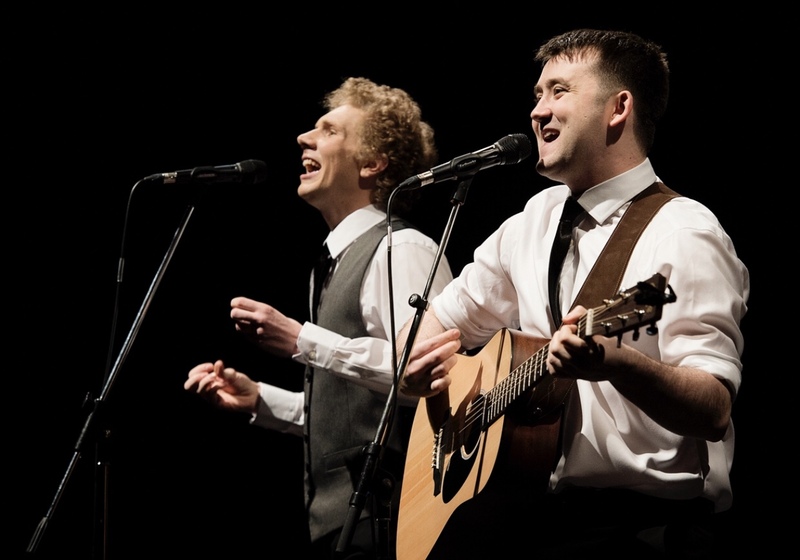 Opening with The Sound of Silence it’s clear this is more than just a tribute show, it’s a show you can really sit back, relax and take in the music from one of the world’s greatest duos alongside learning the story of Simon and Garfunkel’s friendship. This concert-style theatre show starts by telling us how the two young boys from Queens, New York met, as well as the highs and lows of their musical careers. With a minimal set that still enthrals the audience with its large screen showing us the political and social changes that took places in the ’60s, with videos and images coming on in the background that will have you taking a trip down memory lane. Reminding us of the influences around at the time of their phenomenal success. The show is filled with the hits from the duo as well as some of the lesser-known songs from there early days when they had named themselves Tom and Jerry. One revelation I wasn’t expecting was Art’s career change at the height of there success to teach Math. 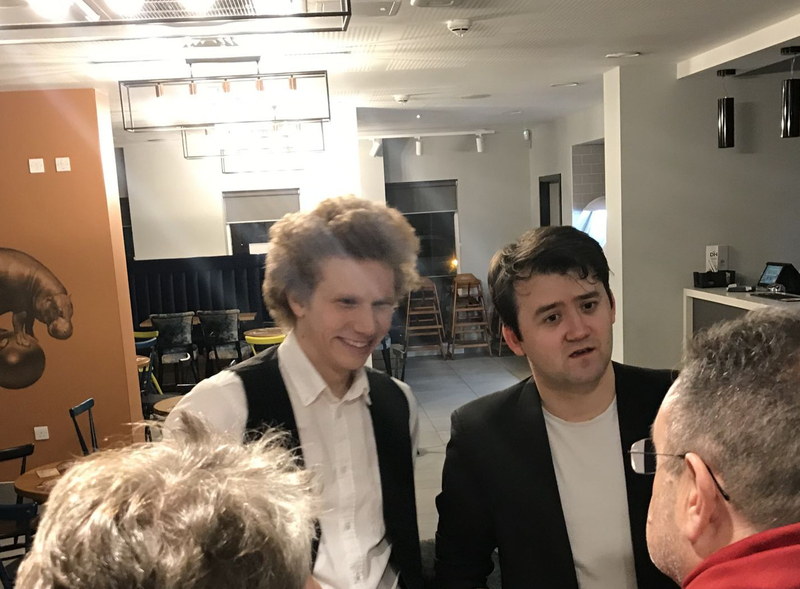 The charm and wit of Charles Blyth really add to the evening, Charles and Sam O’Hanlon even offer to meet and greet the audience afterwards in the lobby, expressing their gratitude to all who come to watch the show, a really nice touch. Whether your a life long fan or like myself could recognise the hits but didn’t know much else about Simon & Garfunkel it’s a wonderfully enjoyable evening of entertainment. It reminded me of my love of live music and getting lost in the music. You can catch The Simon & Garfunkel at Darlington Hippodrome from Tuesday 29 January to Saturday 2 February. I love this quote and thought it was quite fitting with the feeling’s I had throughout the evening. Music — the other non-addictive, mood-altering non-substance. Ask your doctor if music is right for you! You can read my other theatre reviews from shows at Darlington Hippodrome here. Next Post Set your alarm, Dippy tickets for Newcastle released tomorrow!